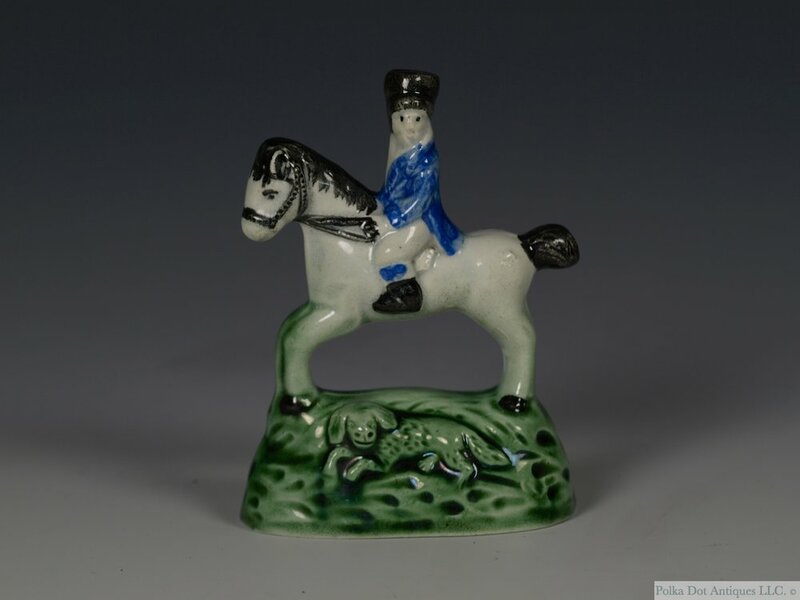 Provenance - Collection of C. B. Kidd. No. 1211. (Paper Label). 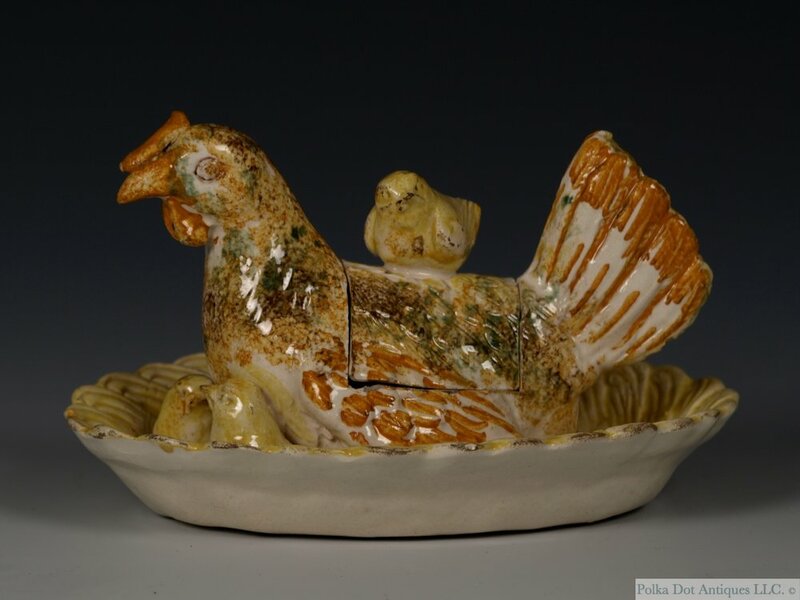 The Colonial Williamsburg Foundation, Williamsburg, VA.
Staffordshire Pratt Ware Hen Box and Cover, c.1790-1800, modeled in the form of a chicken with three chicks, in tones of ochre, yellows and green, 4.” Hairline inside opening. Provenance – The Colonial Williamsburg Foundation, Williamsburg, VA.
Yorkshire/Staffordshire Pearlware Cow Creamer and Cover, 1810, with a sponged mottled coat, sponged oval grass base, 5½” high. Restoration to horns, ears, tail and cover made up.